Students, access free Microsoft Dynamics 365 training! Do you know any university students who are considering careers in the Microsoft Dynamics 365 sector? Or are you a student yourself, who would benefit from free access to Microsoft Dynamics 365 training? How does Microsoft Dynamics 365 training benefit students? The answer is simple: the Microsoft Dynamics 365 job market is booming. There is a shortage of skilled Microsoft Dynamics 365 consultants across all products and functions. This means that Dynamics 365 consultants at all levels of experience are in high demand. The Dynamics 365 market offers amazing long-term career prospects, whether you wish to become a permanent employee, work independently, or even build your own company! If you have an interest in IT, business intelligence, project management, finance, or even software sales – being trained in Microsoft Dynamics 365 will be a huge asset for you. 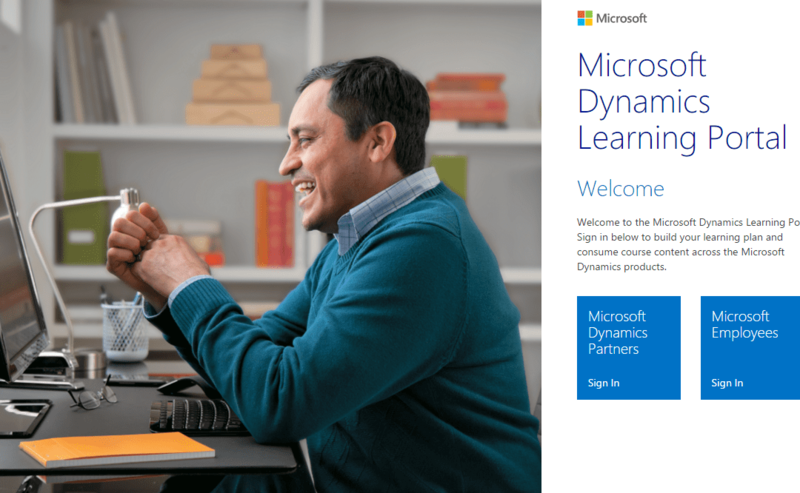 What is the Microsoft Dynamics Learning Portal (DLP)? The DLP is Microsoft’s official training platform for Dynamics 365. Its purpose is to allow Dynamics 365 consultants to update their existing skills, or to gain new ones. This learning opportunity allows students to get their hands on amazing Microsoft Dynamics 365 training material! – Free Microsoft Dynamics 365 training: learn at your own pace with specialised Dynamics 365 online courses. The courses’ levels range from beginner to expert. – Role-based learning plans: if you’re not sure what courses to take, pre-set learning plans will guide you based on the role(s) in which you’re interested. – Exam preparation guides: if you like what you’re learning, prepare for your first Dynamics certification and test your knowledge before the exam! How can students registered with 365 Talent Portal join DLP? 1) Applicants must currently be university students. 2) Applicants must be registered with 365 Talent Portal as students (if they aren’t yet, they can create a student account here). 3) Applicants must have (or create) a Microsoft account email address. 1) Create a student account with 365 Talent Portal. – Microsoft account email address: this is very important, as only a Microsoft account will allow users to log in to the DLP after we add them. Students can follow this link to ensure they do have a Microsoft account email address. – A digital copy of a document which proves that you are currently a student and which displays the name of your university. 3) We’ll process the information you have sent us, and if everything checks out, we’ll activate your DLP access! If you want to know what courses are currently available on DLP, please download our ever-popular course update via the button below. Please don’t hesitate to share this information with any students who might be interested in this program. If you have any questions, don’t hesitate to contact us at info@365talentportal.com. If you would like to share Microsoft Dynamics 365 training opportunities with university professors, please refer them to connect directly with the Microsoft Dynamics Academic Alliance Team at dynaa@microsoft.com. The Microsoft Dynamics Academic Alliance is a global program that helps institutions of higher education use Dynamics 365 in their curriculum, for academic and research purposes.